Kleen Industrial Services is single source manufacturer and distributor of filter media to the US and Canada for over 35 years. Our materials uniform grain shapes and grain size distributions produce efficient filtration bed operation for removal of contaminants in both potable water and wastewater. 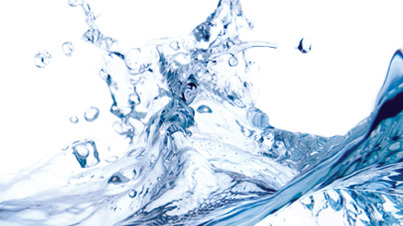 Clean and chemically inert, our silica products will not degrade or react when it comes in contact with acids, contaminants, volatile organics or solvents due to its low acid solubility. Due to our materials sub-angular shape and uniform size, they are ideal for use as packing material in deep-water wells to increase yield from the aquifer by expanding the permeable zone around the well screen and preventing the infiltration of fine particles from the formation. The uniformity and low acid solubility also minimizes material lost during well development. The sub-angular shape aids hydraulic conductivity by reducing drawdown and improving yield. 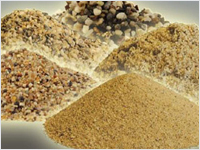 Kleen Industrial Services silica products meet or exceed all AWWA recommendations for filter sand and are NSF Certified. 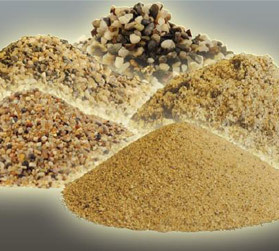 Municipalities, engineering firms, and well screen manufacturers routinely spec Kleen Industrial Services Sand and Gravel well pack media for its desirable physical and chemical properties.